In 1972, Laurence Olivier and Michael Caine starred in the screen adaptation of SLEUTH, based on Anthony Shaffer's Tony Award-winning play and directed by Joseph L. Mankiewicz. Olivier played Andrew Wyke, a droll old writer whose wife is having an affair with the young, ambitious Milo Tindle, played by Caine. 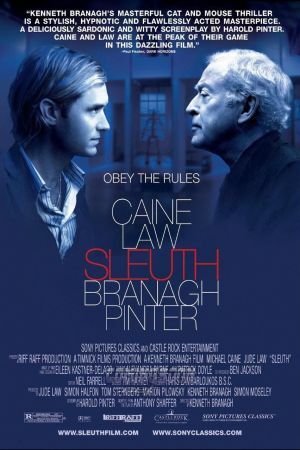 Thirty-five years later, Caine is starring as Wyke in an updated version of SLEUTH, completely rewritten by Nobel Prizewinner Harold Pinter and directed by multiple Oscar nominee Kenneth Branagh. 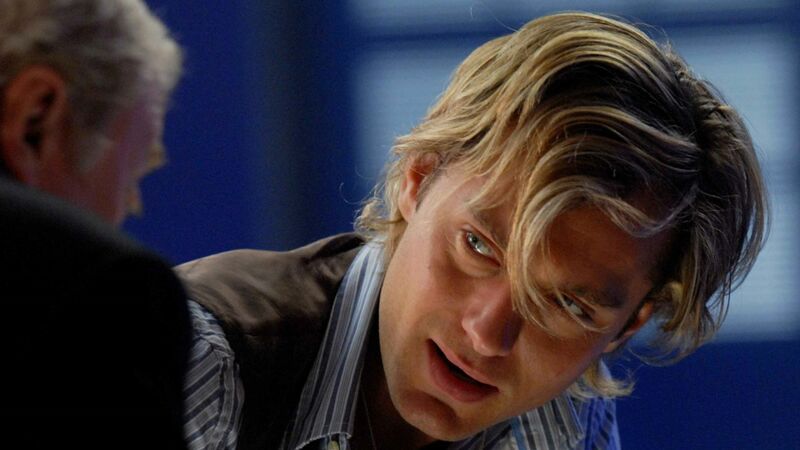 Jude Law, who played the Michael Caine role in the 2004 remake of ALFIE, now takes over as Tindle, a hairdresser-actor who has shown up at Wyke's estate to demand that Wyke divorce his wife so Tindle can marry her. But the extremely successful and wealthy Wyke is not about to give up his wife without a very determined and well-calculated battle of wits. Wyke lives by himself in a home that features dozens of electronic gadgets and odd contraptions, forcing Tindle to always be on the lookout for something strange to happen. The cat-and-mouse game continues as Tindle and Wyke play mind games with each other in a thrilling contest of one-upsmanship that soon involves a gun. Caine is marvelous as Wyke, strutting through his home with the absolute confidence that he will get the best of Tindle, but Law, who is also one of the film's producers, holds up his end of the drama, giving as good as he gets. Branagh keeps a steady hand as director, not allowing the camera to get in the way of the two dueling characters, but Tim Harvey's unusual production design nearly steals the show.